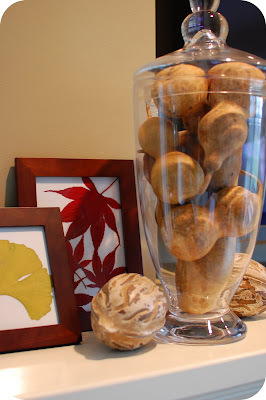 I love switching up my manlte decor depending on the season. 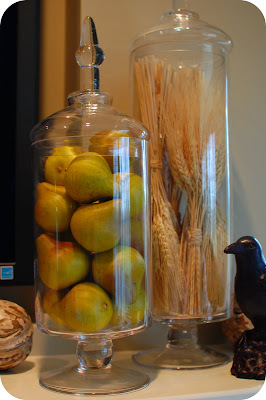 Lately I've been using large glass vases filled with different items depending on the season. 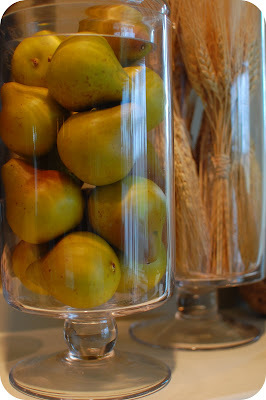 For Fall I have one vase filled with mini pears, one with wheat, and one with dried gourds. 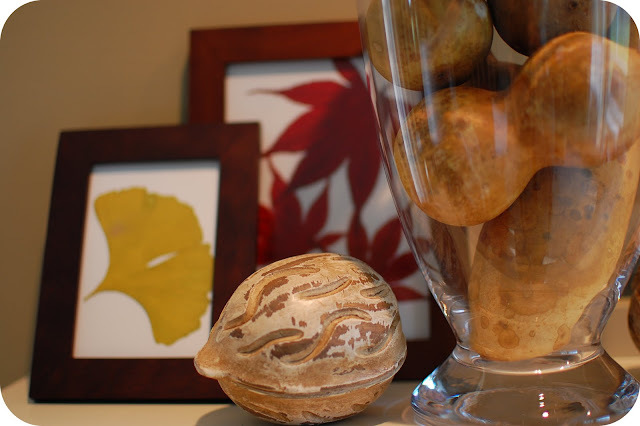 Another super easy and inexpesive idea is to frame Fall leaves. 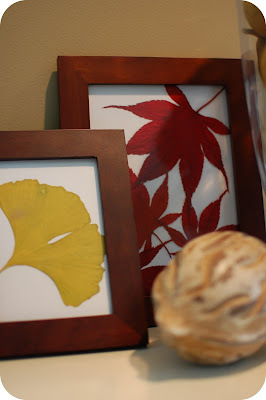 I picked up two very inexpensive wood frames at Target and framed up a few leaves. Doesn't get much easier than that! 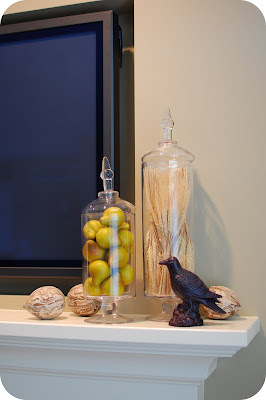 The black bird is a candle I got at Pottery Barn. 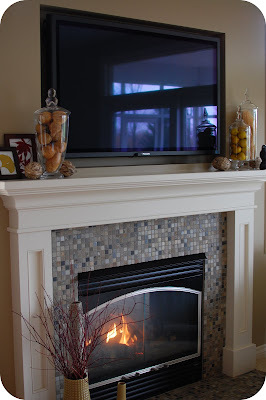 Only a few more weeks to enjoy my Fall mantle before the Christmas decorations go up!